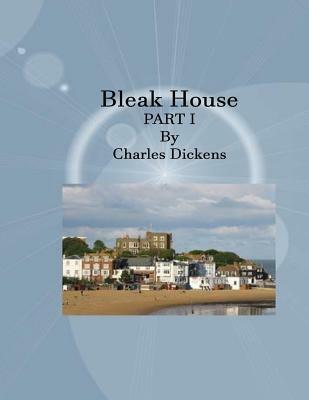 Bleak House is a novel by Charles Dickens, published in 20 monthly instalments between March 1852 and September 1853. It is held to be one of Dickens's finest novels, containing one of the most vast, complex and engaging arrays of minor characters and sub-plots in his entire canon. The story is told partly by the novel's heroine, Esther Summerson, and partly by a mostly omniscient narrator. Memorable characters include the menacing lawyer Tulkinghorn, the friendly but depressive John Jarndyce, and the childish and disingenuous Harold Skimpole, as well as the likeable but imprudent Richard Carstone. At the novel's core is long-running litigation in England's Court of Chancery, Jarndyce v Jarndyce, which has far-reaching consequences for all involved. This case revolves around a testator who apparently made several wills. The litigation, which already has taken many years and consumed between 60,000 and 70,000 in court costs, is emblematic of the failure of Chancery. Dickens's assault on the flaws of the British judicial system is based in part on his own experiences as a law clerk, and in part on his experiences as a Chancery litigant seeking to enforce copyright on his earlier books. His harsh characterisation of the slow, arcane Chancery law process gave memorable form to pre-existing widespread frustration with the system. Though Chancery lawyers and judges criticised Dickens's portrait of Chancery as exaggerated and unmerited, his novel helped to spur an ongoing movement that culminated in the enactment of legal reform in the 1870s. In fact, Dickens was writing just as Chancery was reforming itself, with the Six Clerks and Masters mentioned in Chapter One abolished in 1842 and 1852 respectively: the need for further reform was being widely debated. These facts raise an issue as to when Bleak House is actually set. Technically it must be before 1842, and at least some of his readers at the time would have been aware of this. However, there is some question as to whether this timeframe is consistent with the themes of the novel. The English legal historian Sir William Holdsworth set the action in 1827.